Spillways on the Oroville Dam crumbled and fell away during heavy rains in February 2017, forcing nearly 200,000 people to evacuate amid fears the dam would collapse. Disaster was ultimately averted, but the dam needed significant repair. 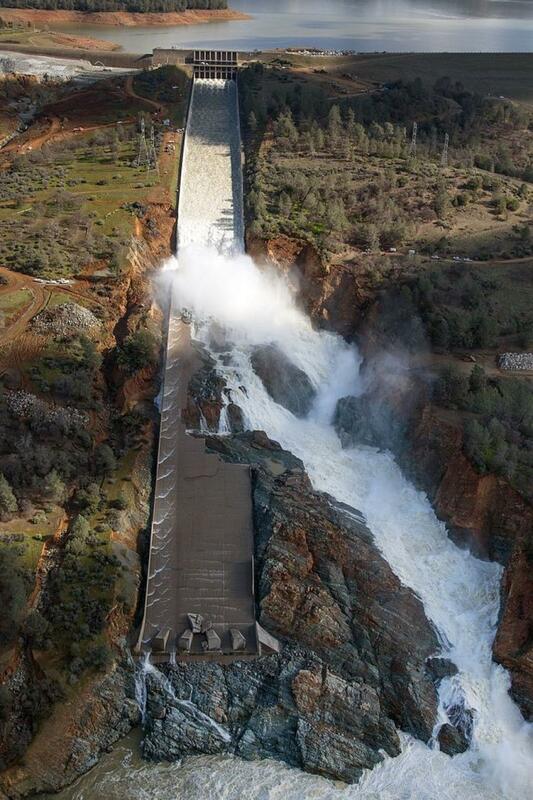 SACRAMENTO, Calif. (AP) — The federal government has rejected $306 million in reimbursements for California's repair of damaged spillways on the nation's tallest dam, a state agency said March 8. California has so far requested about $639 million from the Federal Emergency Management Agency (FEMA) for the Oroville Dam repairs, said Lisa Lien-Mager of the state's Natural Resources Agency. FEMA has agreed to cover $333 million. Officials: Why is New Oroville Dam Spillway Already Cracking?